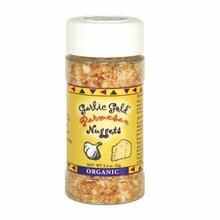 Our most popular item, these delicious Nuggets are hand-made bits of toasted, sweet, mild and crunchy organic garlic. 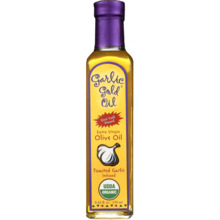 Use as a gourmet topping on anything, including salads, pizza, sushi, baked & mashed potatoes, popcorn, pastas, etc. 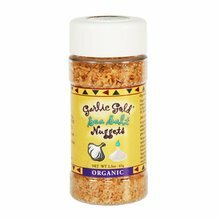 Our most popular item, these delicious Nuggets are hand-made bits of toasted, sweet, mild and crunchy organic garlic. Use as a gourmet topping on anything, including salads, pizza, sushi, baked & mashed potatoes, popcorn, pastas, etc. Our Nuggets make a great sodium free alternative to flavor your meals.